JOHN MEADE FALKNER - Polymath; He was a Novelist, a Poet, an Academician, a collector of medieval manuscripts and a Businessman. While he is perhaps best remembered as the author of "Moonfleet" , he also wrote a number of other books, including "The Lost Stradivarius" and "The Nebuly Coat" as well as several volumes of poetry. He was a brother of my maternal grandfather - Charles Gaskell Falkner - which is how I came to be in possession of these original photographs. Larger Versions of these photographs can be reached by clicking on them. 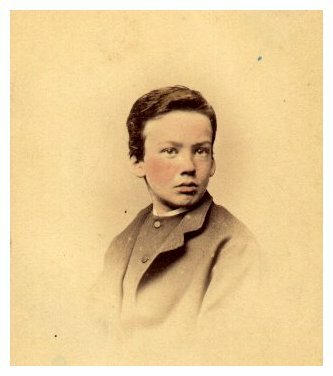 A dated, portrait photo of JMF, aged 10, in 1868. Another undated portrait, but here he looks very much as he does in a published photograph of him with members of the Noble household in 1883 where he was employed as a tutor. 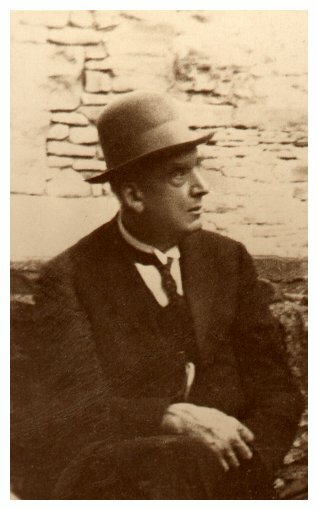 JMF on a picture postcard, about 1920. 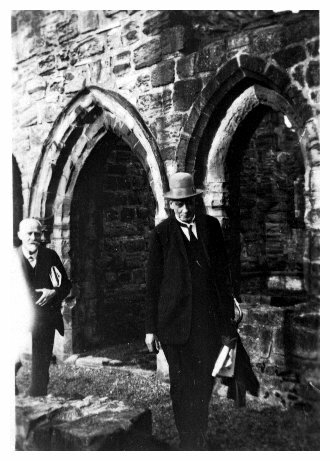 The original snap from which the postcard above was made. This came from a family photograph album dated 1929-1932. Here JMF is with Edward and Mrs. Stocks. 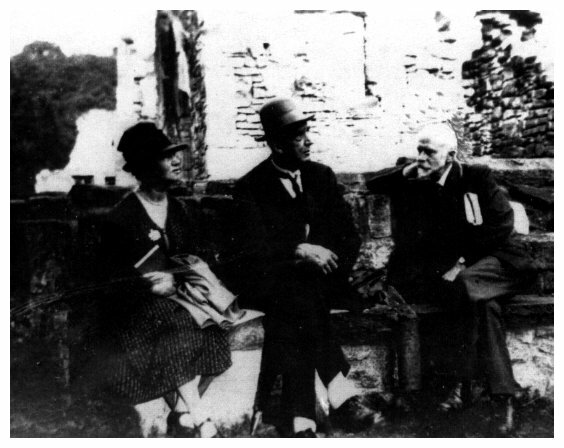 Another snapshot of JMF poking about in the ruins of Finchale Abbey, about 1930. With Edward S. in the background. The Garden at the back of Divinity House. In the distance is Durham Cathedral. 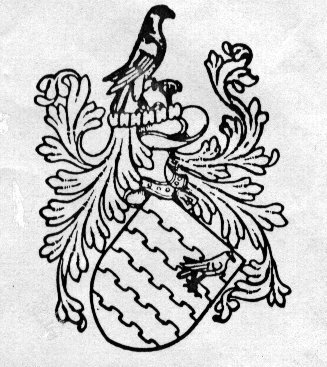 Coat of Arms granted to JMF, and other descendants of his father, in 1905. 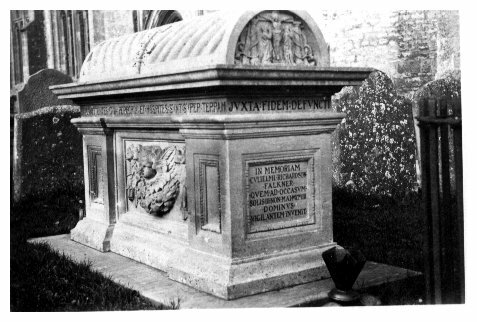 Joint Tomb of John Meade Falkner and his brother, William Richardson Falkner, in Burford. John Meade Falkner, born on May 8th.,1858, in Manningford Bruce, a village in Wiltshire, England, was the second son (the first having died before JMF was born) of Thomas Alexander Falkner (1819-87) and his wife, Elizabeth Grace (Mead). His father, the village curate, was a reclusive scholar. Well-versed in the classics, he was able but unambitious and never rose any higher in the church than 'Curate-in-Charge'. Other members of the family comprised: two sisters, Mary Grace(1856-1901) and Anne Louisa (1862-1933), as well as two younger brothers, Charles Gaskell (1864-1932) and William Richardson (1867-1902). JMF's formal education started with Latin lessons from his mother, commencing on his fifth birthday, and Greek from his father on his 6th.. These two excellent teachers imbued him with a life-long love of classical learning. When his father took a new position in Weymouth, Dorset, in 1871, the family moved to there and JMF's education was continued at Weymouth Grammar School (now W. College). By the age of 14, he had reached 6ft in height and was still growing, only stopping at 6ft.9in. 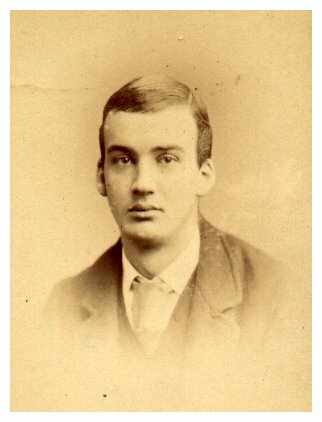 He spent the years 1873-77 at Marlborough College working towards a University entrance, he also bicycled all over the local countryside and it was at MC that he produced his first poetry. As an Oxford undergraduate(1878-82), JMF read Modern History at Hertford College but emerged with only a very modest Third Class Degree. Nevertheless, he had broadened his fields of interest enormously and had mastered several modern languages in addition to his early classical ones. 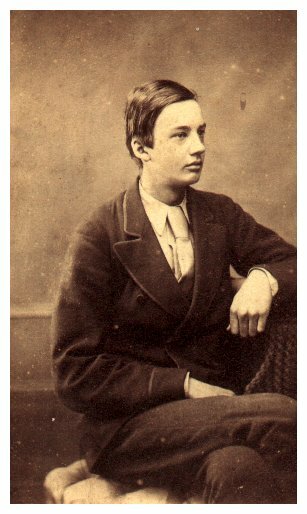 In January 1883, JMF met John Noble, then an Eton schoolboy having problems preparing for his Oxford University entrance examinations. After meeting the rest of the family he was hired as a tutor for John by the father, Andrew Noble. Andrew was the operational head of Armstrong & Co., a world-ranking engineering and armaments firm that was later to become Armstrong Mitchell & Co. and, later still, Armstrong Whitworth. So JMF became a member of the Noble household, almost one of the family, tutoring first John then the younger children as needed and, when, about 1885, these responsibilities disappeared, becoming a personal secretary to Andrew Noble. In 1887, his father, Thomas Falkner died intestate (his mother, Elizabeth Grace having died in 1871) and the family income, based, as it was, on a marriage settlement, ended with this death. The Falkner family fell on hard times - they even had to take in lodgers! JMF, however, was doing well enough by then to put both his brothers through Cambridge University and his sisters through Art School (Anne moved to London in 1889, attended the Slade School of Art, and went on to a successful career as a painter). In 1888 he was made Company Secretary to Armstrong Mitchell & Co. Because of his abilities and Noble family contacts, his climb was rapid; he became Secretary to the newly amalgamated Armstrong Whitworth Co. in 1897 and a director in 1901. His command of foreign languages, which allowed him to negotiate for the company directly with foreign governments as well as follow military reports from around the world, made him an invaluable member of the firm; so much so that, in 1915, at the height of WWI, he was elected Chairman of the Board of AW; Remember that this was a world-class armaments company that was a major staple of Britain's war effort. Such a position is seldom occupied by one mainly thought of as a novelist, poet and aesthete (for very long at least)! But he held this post until 1920 and remained a member of the board until finally retiring in 1926. His lucrative career easily financed his growing collection of old books and medieval manuscripts. In 1899, at the age of 40, he had married Evelyn Violet Adye who was then 29. The marriage lasted the rest of his life, but seems to have been, on his part at least, a relatively passionless affair, for he appears to have been a natural celibate. There were no children. 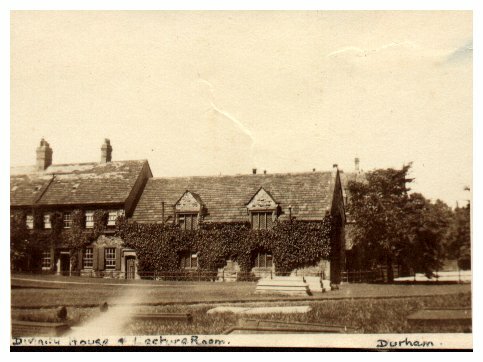 Shortly afterwards the couple moved into 'Divinity House' in Durham, a home he was to occupy until he died. Evelyn was very definitely the junior member of this partnership and he never referred to her opinion on any subject; he seems to have had a very low opinion of female capabilities in general. His first book, A Pocket Guide to Oxfordshire was published in 1894. This was followed by The Lost Stradivarius (1895), Moonfleet (1896) and, in 1899, A History of Oxfordshire. His last books were A Pocket Guide to Berkshire (1902), and The Nebuly Coat (1903). He had been writing poetry ever since his days at Marlborough, but, as his health worsened, and his interest in ecclesiastical affairs increased, his poetic output declined considerably. In retirement, he became deeply involved in both the Durham University, where he was Honorary Reader in Paleography and the Durham Cathedral where he was Honorary Librarian to the Dean and Chapter. He died on July 22, 1932, in the same year that his one remaining brother, Charles, died, and fourteen months before this writer was born. -Mr. John Meade Falkner [of whom a brief obituary notice appeared in the later editions of The Times of Saturday] went as tutor to the sons, of Sir Andrew Noble, at that time vice-chairman of the Armstrong firm, on leaving Oxford, and in 1895 was offered a post in the company. 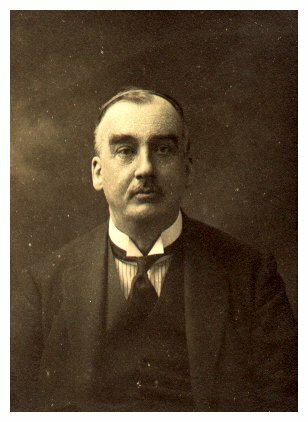 He was promoted to be a director in 1901, and when Sir Andrew Noble died in 1915 succeeded him as chairman of the board, a post which he resigned in 1921, remainirg a director until the reconstruction of the company in 1926. In his long connexion with the Armstrong, Whitworth Company, Falkner made himself specially useful in conducting negotiations with foreign Powers, and he travelled widely on behalf of the firm in Europe. and South America. For this purpose he was well fitted alike by his charm and dignity of manner, his gift of languages, and his patience. He was, in short, the chief diplomatic representative of the firm for many years. These business visits were with him always contrived "a double debt to pay." "For," as he used to say of himself, "I have a medieval mind," and he was never happier than in Constantinople, Florence and, above all, in Rome, where he early became a constant freqenter of the Vatican Library, a relationship crowned by the gift to him from the present pope of the gold medal struck for presenation to a limited number of distinguished scholars, native and foreign. All sorts of medieval lore appealed to him - black-letter, demonology, and old Church music. He was an assiduous collector of rare books, especially of missals. His whole life had a strange dualism, for this medievally minded humanist rose to his high position as chairman of a great industrial corporation not by favouritism, but on his merits, and as the direct result of their recognition by the creator of the firm and his ablest successor. Falkner's annual statements were models of lucidity and were marked by a distinction of style that never failed him whatever he wrote. He wrote beautifully, in every sense of the word, for until he was disabled by writer's cramp his script, modelled upon that of the best medieval scribes, was exquisitely decorative as well as perfectly legible, and a letter from him was a work of art as well as a revelation the workings of an original and obvservant mind. Some of his earliest literary ventures were of an instructive order-his admirable "History of Oxfordshire," and his handbooks to Oxfordshire and Berkshire in Murray's series, for which he prepared himself by long bicycle tours of exploration visiting country churches and villages. In fiction be made his mark in " The Lost Stradivarius" (1895), a romantic ghost story, tinged with mysticism, in which his command of atmosphere and of the "law of suspense" was strikingly displayed. "Moonfleet" (1898), a story of the old smuggling days on the South Coast, is a more straightforward story, which suggests comparisons with Stevenson in subject, but is written in Falkner's own style in which every word is right and in the right place. But "The	Nebuly Coat" (1903) is a far higher achievement, and still remains one of the test novels, appreciation of which establishes a curious link of sympathy between its admirers. He had written a considerable part of a fourth novel, but left the only copy in a bag in the train on his daily journey from Durham to Elswick, and never saw it again. His friends often begged him rewrite it, but he declared that he was too old for the task. After the War he published anonymously a brief but most illuminating, study of Bath in its palmy days, and he contributed to Cornhill (December, 1916) the short story entitled "Charalampia," an entirely fascinating pseudohistorical romance of the Byzantine period. For, while a devout reader of the classics, his studies were not confined to the canon. There remain his verses, mostly written for private circulation, though a certain number appeared in the Spectator, where they never failed to attract attention by their peculiar dignity and charm, notably the lines entitled "The Family Pew." They were almost always meditative and reflective, suffused with a tender regret, and notable for the effective use he made of Latin phrases from the Vulgate or the great Latin hymns. It may be added that his interest in liturgical literature was not confined to missals, but ranged over a much wider field. He filled more than 4O notebooks (all in Latin) on the Vatican manuscripts. Apart from the Vatican, he was in close touch with the manuscript section of the British Museum and of the Bodleian. It was largely due to these associations and connexions, as well as to his own talents, that he was able to make improvements at Durham (where he succeeded Canon Greenwell as Librarian to the Dean and Chapter), which made the collection probably the first among cathedral libraries in England and caused it, to his great pleasure, to be visited and consulted by more and more students every year. To his friends at the Athenaeum and elsewhere, Falkner was always an interesting character, full of curious contradictions but equally full of enthusiasms which he was able to impart to others. An element of the unexpected lent attraction to his conversation, for, though consistent enough on many subjects, on others his views were fluid, and it was impossible to anticipate what he might say. Proclaiming himself a recluse, he enjoyed congenial society; in politics, he was one day a Radical and the next a reactionary; while he affected a cynicism which covered much real kindness of heart. He had no intellectual arrogance; he was singularly free from snobbishness or ostentation; he was a most loyal and affectionate friend. The extent of charities, whether in cash or kind, if it could be known, must have been astonishingly large while the amount of time he took to comfort the downhearted or ailing must have added heavy burdens to his daily work. Throughout his life Falkner, though his remarkable gifts were fully acknowledged by his friends and associates, contrived to keep completely out of the limelight, and never asked for, or received, any State recognition of his servies in his own country. 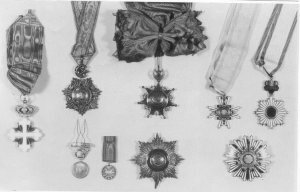 He was given decorations by the Turkish, Italian, and Japanese Governments, but the honours that he valued far the most were conferred on him as a man of letters, and involved no initials after his name or handle in front of it. Mention has been made of his appointment as Librarian to the Dean and Chapter of Durham, in which capacity he had the satisfaction of showing King Alfonso over the treasures of the Library; he was honorary Reader in Palaeography to the University of Durham; and last, and most treasured distinction of all, was made an honorary Fellow of Hertford College, Oxford, in 1927. Some of JMF's decorations, now in the Dean and Chapter Library. L to R: Italian (1), Turkish (5) and Japanese (3). Most of this material has been drawn from Kenneth Warren's book: "JOHN MEADE FALKNER 1858-1932: A Paradoxical Life" (Edwin Mellen Press, New York, 1995). Further help came from Bernard Jones' pamphlet: "Dorset Worthies No.18: JOHN MEADE FALKNER 1858-1932". 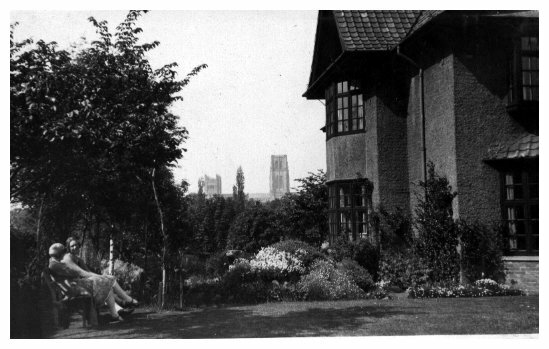 (1984) ISSN 0070 7120) as well as Kenneth Warren's 1989 Durham Cathedral Lecture "John Meade Falkner in Durham (1899-1932): A perspective on a small cathedral city." (ISBN 0 907078 27 3). This Society was formed by a small group of JMF admirers on the 8th of May, 1999 in England. Conferences, lectures or talks possibly held in areas associated with JMF. e.g. Weymouth, Burford, Oxford, Durham and Newcastle. Support for buildings associated with JMF. e.g. Fleet Old Church, Durham Cathedral, Burford Church. The Society's Newsletters and some other publications are being put up here as they become available to me. The JMFS JOURNAL is available to members only. Below are links to the publications to date. JMF on The Boer War. Accident or Foul Play? The Alliance of Literary Societies. Offers readings of Moonfleet on CDs and cassettes. Has published a limited edition (300 copies) of "The Lost Stradivarius". Also included in this well-bound, 233-page hardcover book are the seldom seen stories: "A Midsummer Night's Marriage" and "Charalampia". All of this is topped off with an introduction by Mark Valentine, and one of my photographs! A "Must Have" for Falkner Fans! This page was created using Paint Shop Pro by JASC. Last Modified on 06 January 2004.